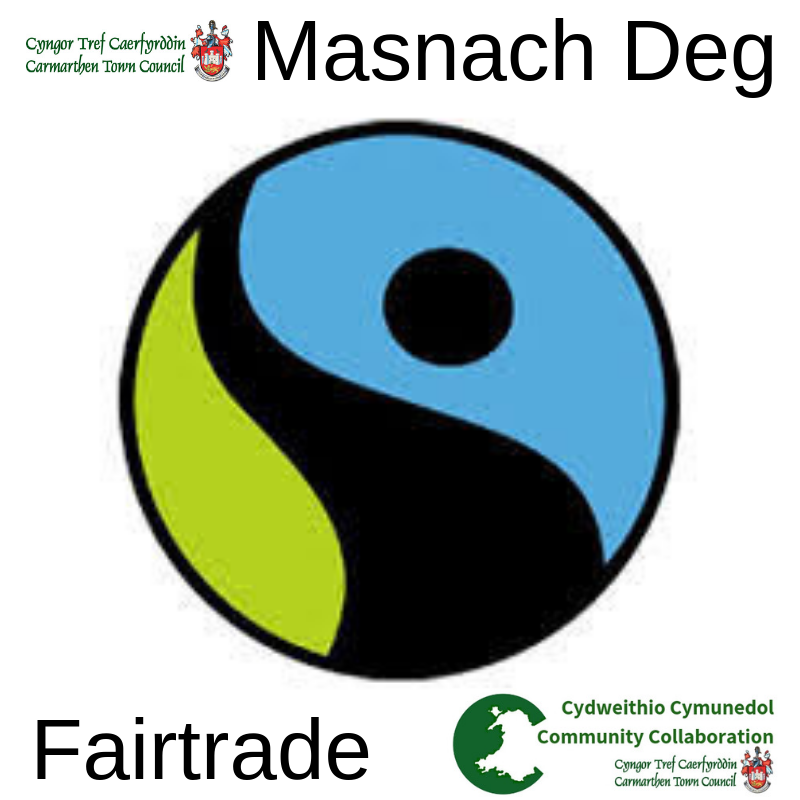 In 2009 Carmarthen was accorded Fairtrade status after a five year campaign to encourage businesses and organisations throughout the town to give Fairtrade a chance. Traders have taken up the idea with enthusiasm, and a wide range of products and services is now offered. Here is a downloadable document detailing the locations of all Fairtrade outlets and the produce that they provide.